In a medium mixing bowl, sift together flour, baking soda, cream of tartar and salt. In a large mixing bowl, using a mixer on medium speed, beat together butter, 1 cup sugar and vanilla until creamy - about 1 minute. Beat in egg and milk until combined. Reduce mixer speed to low and gradually beat in flour mixture until just combined. Using a cookie scoop, scoop out dough onto cookie sheets. In a small bowl, stir together remaining 1 tablespoon sugar and cinnamon until well combined. Sprinkle cinnamon-sugar on top of cookies. Bake 8 minutes or until light golden brown and set. Transfer cookies to wire racks to cool completely. I'm the only person I know who doesn't love snickerdoodles, but I DO love the blossoming tree picture. BEAUTIFUL!! I just love snickerdoodles! The ftaste of sugar and cinnamon is really delicious! Looking forward to these cookies, too... my mom and I were just talking about Snickerdoodles yesterday!!!! Kerrygold butter, eh? I didn't think snickerdoodles could be taken up a notch. But girl, you BROUGHT IT with these! So glad you're feeling better! the birthday weekend sounds super fun! And your niece is adorable! I'll have to make these for my dad who absolutely LOVES snickerdoodles. I've actually never heard of Kerrygold butter, but I'll get on that when I get ready to make these. Your family wasn't upset that you didnt' bring a dessert to the party? I know my family is upset when I don't bring one of your desserts to a party! 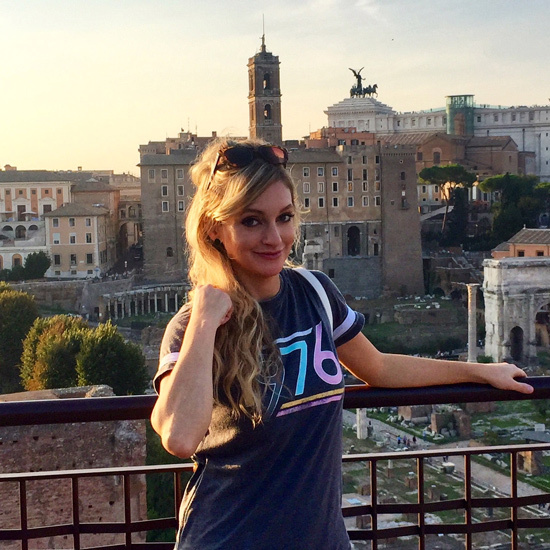 I envy your weather! Send some of that spring up this way - wind and all! 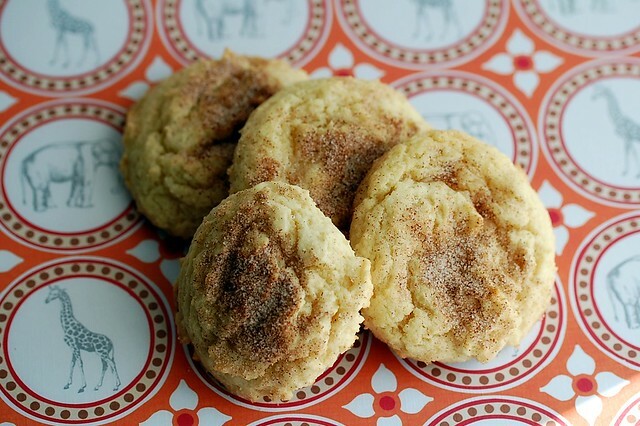 The snickerdoodles look delcious and I am really crazy about the idea of coconut milk in them! I have never had a Snickerdoodle, they look so good, though! mmmm, i LOVE me some snickerdoodles!!! these look awesome! 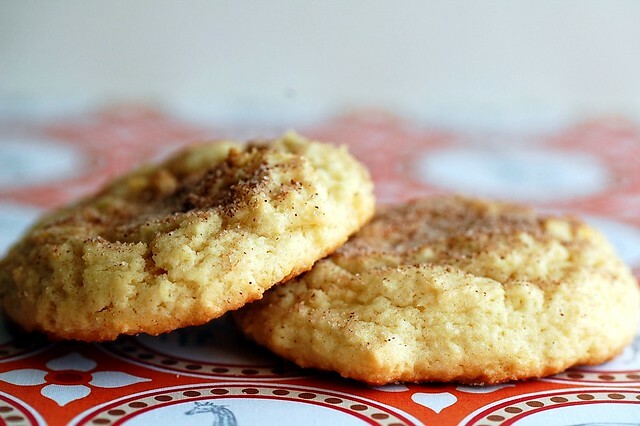 I had my first snickerdoodle when I first married my husband ... hadn't heard of them before that! So many special days to celebrate Emily.Many years ago I made some snickerdoodles but the recipe went horribly wrong. It is nice to have a reliable recipe as found here on Sugar Plum. I can't wait to try this receipe. One of my favorite cookies. Your little niece is just soooo cuteeee. Delicious! Snickerdoodles are one of my all time favorite cookies! Your little niecelet is SOOO cute!! Have ever tried adding some chocolate to your snickerdoodles? I tried this a recently and they turned out great. I actually blogged them too if you need an idea. Pics look great! I'm sure snickerdoodles became your mom's favorite cookie even if they eren't before after trying these! I like how nice and thick they are. Helena, I think she does.. but maybe not bright red? Ministrywife, I'm so happy you liked the cupcakes! That makes me very happy. Thank you for reading! 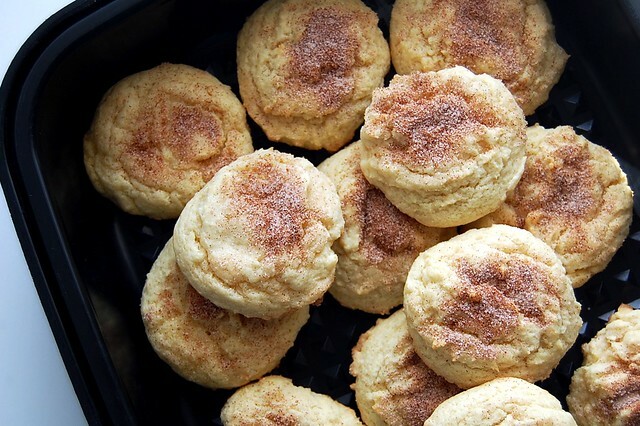 You should really bake these snickerdoodles. Rachel, I will send some spring your way. I actually used coconut milk and loved it! Malebaker, I've heard of doing that, but never have tried. I'll have to check out your recipe. I remember Karen from Familystylefood had a spiced chocolate snickerdoodle she made a while back. I think the best thing about snickerdoodles is that you always have everything you need to make them in the cupboard. Even when you can't make any other dessert, you can make snickerdoodles. oooh--coconut milk! great suggestion! i'm really excited to test that out, thanks! These cookies were amazing! Best snickerdoodles ever!